This lesson begins with a question. One obvious way that card counting can increase profits is just bet more money. But that is ill advised unless you also increase your bankroll. If you do not do the latter you will increase your risk of going broke in the short term. This is the classic “Risk of Ruin” that has in fact ruined many card counters. Therefore, increasing your bet size without increasing your bankroll is not one of the ways I would recommend to enhance profits. There is a way, however, to increase your bets without any increase in risk. That’s to get a trusting partner who would be willing to pool his bankroll with yours and split the profits or losses. This teamwork effort can be beneficial to all partners. The depth of the penetration or the percentage of cards dealt prior to the shuffle is another important factor that can increase profit. For example, a 6-deck game in which 75% of the cards are dealt before the dealer reshuffles is much more profitable with card counting compared to one in which only 50% of the cards are dealt. The fact is that the latter example (50%) is not really worth a counter’s time. In some casinos, dealers have some leeway in where they place the cut card and hence the penetration. Scout around for dealers in a casino to see which ones are dealing the most cards and that is the blackjack table you should be playing. You can also subscribe to publications that maintain current databases of playing rules including penetration for blackjack games across the country. Double deck games are often better for card counting. Essentially a game with fewer decks has greater fluctuations in deck compositions allowing more opportunities to have a favorable advantage and increase bets. For example, in a single deck game the counter has the edge nearly 40% of the time, whereas in an 8-deck game it drops to about 20%. You can also enhance profits by not staying when counting goes negative. One way to accomplish this is to back count games then jump in and play when the count goes positive and leave when the count goes negative. This way you are only making bets when you have the edge. Unfortunately, most casinos are sensitive to players who jump in and out of games because they understand that back counting is a tool used to enhance profits. Therefore, they will post “No-Mid Shoe Entry” signs or limit a player to betting only the table minimum when entering a game in the middle of the shoe. But this is not a universal policy and there are still plenty of casinos online and off that allows players to enter in the middle of the shoe and thus back counting can be used carefully to enhance profits. Another way to enhance profits is to put on a good “act” that will allow you longevity when you play blackjack. If you get barred from playing blackjack because of your skills, your profit potential will essentially be zero. Therefore, it is important you not give yourself away. One of the beauties of the simple counting system, Speed Count that I teach is that it behaves much differently than traditional counting systems with built in camouflage resulting in Speed Counters being able to play longer and win more. Lastly, I would suggest you do the following. 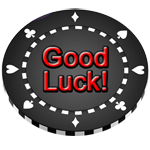 Get yourself a blackjack software program that will test your card counting skills. I say this because a counter’s edge is very small and a few errors in keeping the count could easily wipe out their edge. cards and in some cases on the first two cards after splitting.